So far in our “New Year, New Challenges” blog series, we’ve taken a look at the trends our clients are set to encounter in the Automotive Aftermarket, Information Technology, and HVAC industries. This week, we continue by highlighting some of the major Building Material trends, challenges, and opportunities coming for us in 2019. Much like it has in the HVAC space, the Green Revolution is making noise in the world of building materials, and is poised for some big gains in the coming years. As awareness and acceptance of humanity’s impact on climate change continues to grow, people are beginning to look for ways to reduce their own carbon footprint. This translates into an increased demand in green technology and materials that are both environmentally responsible and energy efficient. In turn, manufacturers are looking for innovative ways to meet demand, developing products that will reduce buyers’ greenhouse gas emissions (can you say self-healing concrete?) and provide cost savings in the process. This is true in both commercial and residential real estate, as more and more home and building owners seek to lower their energy bills as well as the health risks posed to family and inhabitants. As a result, demand for environmental certifications like LEED (Leadership in Energy and Environmental Design) is on the rise. As people continue to look for better, more meaningful ways to live their everyday lives, “going green” seems to be a trend that is not going away. Tied into sustainability is the increasing importance of constructing buildings that are safer. With more health-conscious citizens inhabiting their buildings, owners and real estate developers are becoming more interested in the materials used in the construction process, leading to a drive toward healthier buildings. In addition, new standards for building safety mean there are fewer corners getting cut both in terms of the buildings themselves as well as how they are built. Likewise, improved safety procedures and better safety equipment, such as work boots that can send alerts when users are tired, have fallen, or are in unsafe or dangerous environments, are adding to this “safety first” mentality. We’ve certainly come a long way from the days of lunch atop a skyscraper! 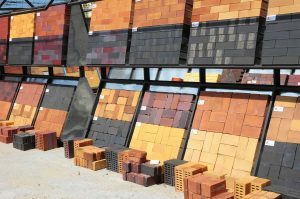 Like much of the economy, the building materials industry has seen significant growth over the past couple of years, and the outlook remains positive moving forward. However, despite this, contracting firms have had trouble filling job openings with qualified workers, with over 250,000 open construction jobs as of July 2018. As a result, contractors are looking to manufacturers to make building materials easier to install, while also seeking more creative ways to optimize their business and maximize their bottom line. One direct effect of this initiative is the expected rise of prefab and modular construction projects, enabling companies to build both residential and commercial buildings at a much faster rate due to the repetitive nature of the projects. Also, these units can often be assembled offsite in a factory-like setting, saving time by avoiding inclement weather delays and money by recycling material that’s not used on a particular project. We’re all familiar with smart homes, LED lights, 3D printing, and drones, tech items that are seeing increased usage in the construction and building materials industries. But also at play in the marriage between construction and tech is the software that’s making project construction and management easier and more efficient. For example, advancements in Building Information Modeling (BIM) are enabling architects and engineers to design models that can reveal how certain building materials will withstand the test of time. BIM also allows users to create maintenance schedules, predict job costs, and understand the scope and needs of a job before it’s started, trimming overall waste by helping to avoid unnecessary purchases. This digital transformation shouldn’t come as a surprise. We’ve already discussed how technology is sweeping through the IT and HVAC industries in areas as diverse as customer service (chatbots) and sales (eCommerce). For better or worse, it’s the economic reality of the modern world that to be a leader in your industry, you’ll likely also have to become an online leader, taking control of your customers’ buying experience through user-friendly websites, solid SEO, and even perhaps a social media presence. Being able to adapt to a changing B2B marketplace—one that increasingly mimics B2C activity, is the best, and perhaps the only way to ensure that you are leading your industry into the future. Each industry is faced with its own challenges and trends from one year to the next. Anticipating what these tectonic shifts will look like can help you be better prepared to take advantage of the opportunities that result from them. For example, if demand for “green” products is on the rise, why not find an innovative way to better promote and sell these products? If your contractor network is looking to simplify the installation process of certain products, maybe there’s a way to provide informative content that enables these contractors to learn faster installation strategies. As a performance improvement company, our goal is always to help our clients find ways to take advantage of industry trends and differentiate themselves from the competition. To find out more about how we can help you navigate changing market for building materials, book a meeting with us.